MQA: How origami delivers the true sound of the studio | What Hi-Fi? Studio-quality sound is nearly impossible to come by, and definitely impossible to stream. Or, at least, it was. Now, MQA can bring you the authentic sound of the studio in a file so neatly packaged it’s almost art. Music formats come and go. Trends rise and trends fall. So why should you, a music fan, be bothered about MQA? That’s easy. Listen to songs you’ve known for years – digital files on your phone, computer, network-attached streamer or wherever else your favourite music lives – and then listen to how they sound in MQA. On paper, ‘Master Quality Authenticated’ looks plausible, if a little esoteric, promising music that sounds exactly as the musician intended, in a file size that can be easily streamed or downloaded. In practice, MQA offers to bring music to life in a way impossible for digital audio until now. And it does so using a combination of ground-breaking science, and the centuries-old principles of origami, folding audio information in on itself until it’s ready to be unfolded and listened to. High-resolution audio’s preoccupation with huge numbers attached to frequency and sampling rates results in digital files too big to reliably stream. If your broadband is the diameter of a hose-pipe, a high-resolution audio file is a football – and you’re not getting a football down a hose-pipe. That’s why almost all streamed audio until now has undergone a degree of compression, leading to information loss and less-than-satisfactory sound; the file has to be small enough to fit down the pipe. By going back to the source – the original master recordings – and painstakingly committing the music to digital formats with the emphasis on preserving the time resolution, MQA claims to deliver the best-sounding digital music experience you’ve ever had. And it’s one that can travel down your hose-pipe with no problems whatsoever. Why focus on the time resolution rather than frequency? Because the remarkable human facility for pinpointing where a sound is coming from is what most informs our perception of audio ‘reality’. Being so adept with audio ‘timing’ – having this ability to build a 3D audio picture from sounds reaching us only microseconds apart – is what convinces us of sonic authenticity. 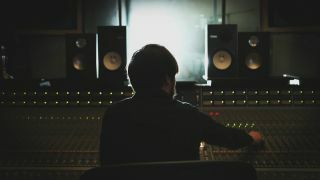 According to recent neuro-scientific discoveries, and the findings of Bob Stuart, MQA founder (also auditory neuroscientist, psycho-acoustician, co-founder of legendary British audio company Meridian, the list goes on…), we’re at least five times more sensitive to timing than to the sonic frequency of the sounds we hear. In short, get the music’s timing right, and it feels real. There are several benefits to MQA, and they are all interlinked. The first, and most fundamental, is its across-the-board sonic capability. Converting digital information to the analogue state in which we’re able to perceive it as music causes degradation of the music’s time-resolution – the conversion causes the timing to blur and, consequently, we’re less able to accurately place the sound on our 3D sonic picture. MQA claims to reduce that sonic blurring (what Bob calls ‘ringing’) by more than a factor of 10 compared to a regular 192kHz/24-bit hi-resolution audio file. MQA is also remarkably innovative in the way it addresses the packaging of digital audio information. Bob calls it ‘encapsulation’ but it’s really a lot like origami – the information within the digital file is effectively folded in on itself until the file is a tidy little package that can be streamed easily. This is a completely reversible, wholly lossless process. The core of the information – slightly more than constitutes a lossless or CD-quality file – is ready to be accessed by any device – CD players, computers, mobile phones, you name it – and will play back at a quality claimed to be higher than that of CD. So already the MQA listener is enjoying better sound than they will get from almost any other digital stream around. But if your audio equipment has the necessary smarts – and an increasing volume of hardware, both portable and static, does – it will be able to unfold the origami file and access all the information stored in there. Which, according to MQA, is all the information that was on the original recording in the first place. That’s why music industry figures of the stature of Bob Ludwig call MQA “a mind-blower in many ways”. High praise from a man responsible for mastering Queen, Nirvana, Daft Punk, Jimi Hendrix and about 3000 more legendary recordings. So – if we can labour our analogy just one more time – MQA can reduce a football’s-worth of information down to a size where it’s small enough to pass down a hose-pipe. And then, at the other end, it can be perfectly unwrapped and it’s a football once again. But, because this is Bob Stuart’s football, it’s the best-sounding football you’ve ever heard.